Roadtrip! Utah, here we come! 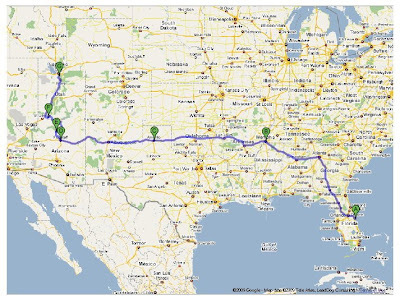 We should arrive in Sandy, UT on June 19th and will be there until July 27th. If you want to get together while we’re there, let me know! I will definitely update the blog with pictures from the Grand Canyon, Zion National Park and our wild crazy adventures in the great state of Utah. I knew this morning that Sydney was going to have two teeth extracted at the dentist’s office (Yikes!) so I raided my money stash for toothfairy money. Nothing. Later as I was getting dressed I noticed something was in the pocket of my capri pants. Two wadded up and very clean (cause they went through the washer) dollar bills! I don’t think I can rightfully chalk this coincidence up to a tithing blessing but I’ll take it.